Violence in Baltimore County Public Schools has raised its ugly head yet again, but this time in a rather unusual way. The Baltimore Post has been investigating the situation since a concerned parent alerted us to some bullying videos. At the time, we felt it was important to publish some of those videos so the general public could see the extent of the violence taking place within our school system. 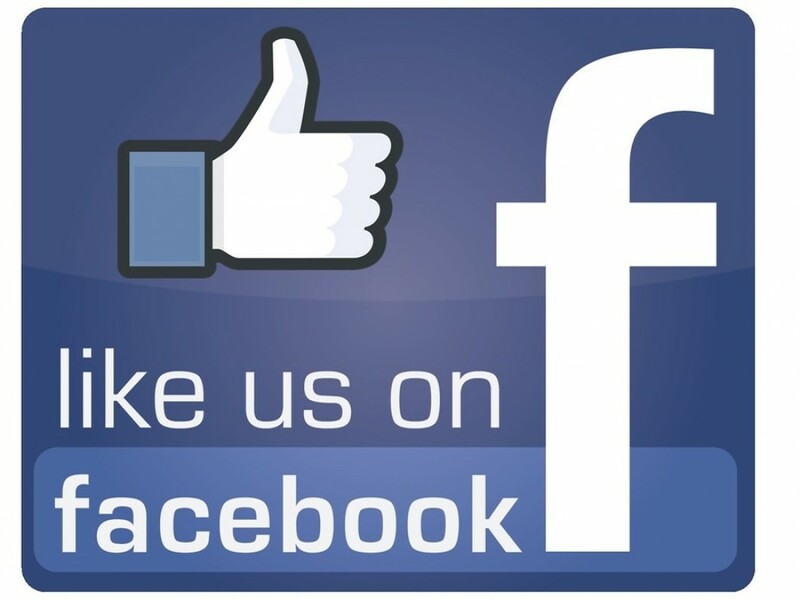 However, we did not anticipate the backlash of a social media giant that wants to control the narrative of this volatile issue. 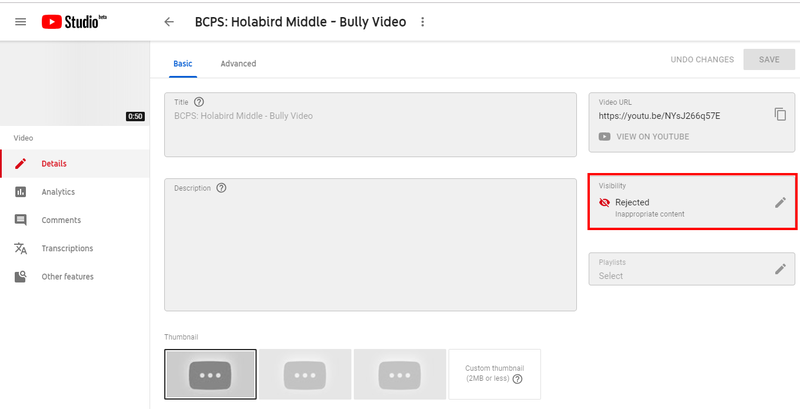 After one incident at Holabird Middle School, the Post chose to publish the video we received on YouTube. We believe the public has the right to know about the potential dangers to their children as a result of this unchecked behavior. Below is the official notification from YouTube. You will notice in the above-linked story that we also linked several other articles published about the violence occurring within the walls of BCPS. Those videos also were removed by YouTube. What we found was rather disconcerting and shocking, to say the least. Folks, it gets worse than that. There is a whole section of videos involving the mass shooting at Columbine. 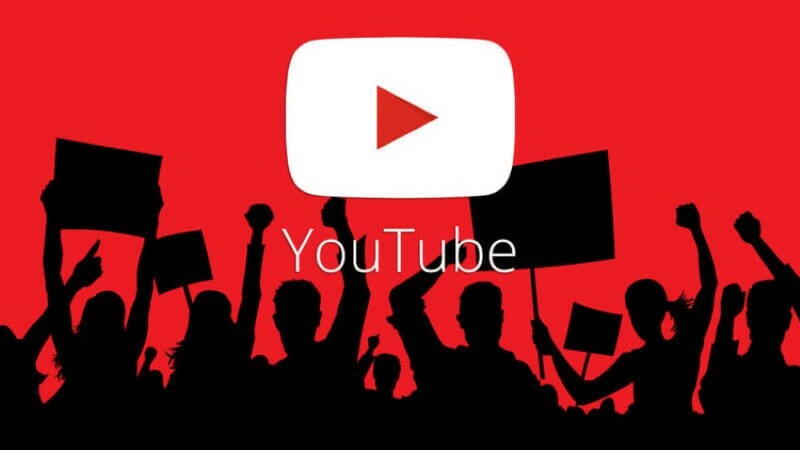 Naturally, The Baltimore Post filed an appeal with YouTube officials because we are a licensed media corporation that was simply reporting news that is pertinent to the community. We also wonder if there are other motives behind this censorship. One particular example comes to mind: when the Post reported on the CTE issue involving current and past members of the NFL. In one particular column, we focused on Ravens quarterback Joe Flacco and a particularly vicious hit he received. A video we used in the story also was removed by YouTube. In retrospect, we question if there is some other force behind the removal of our videos. Could this be a matter of special-interest groups again controlling the narrative? Why would a small news agency be singled out for censorship, unless we pushed the right buttons with our reporting? Were certain influences impacting this decision, which occurred during the interim appointment of Verletta White to the BCPS superintendent position? Dr. Martin Luther King Jr. dedicated his life, and ultimately gave his life, for a noble cause. The success of Dr. King’s achievements centered on his pledge of nonviolence, which he adhered to right up until his untimely death at the hands of an assassin. The Post strongly believes that the media coverage of Dr. King’s efforts change what was amplified in his great “I Have A Dream” speech. If anyone doubts that the school violence issue is just a thing of the past, please tune in to Fox 45 News tonight at 10:00 pm. We just might be in for another shock. If, by chance, you miss the live broadcast, you can go to their website to see the story.